Trailsync: Combines two actions in one. 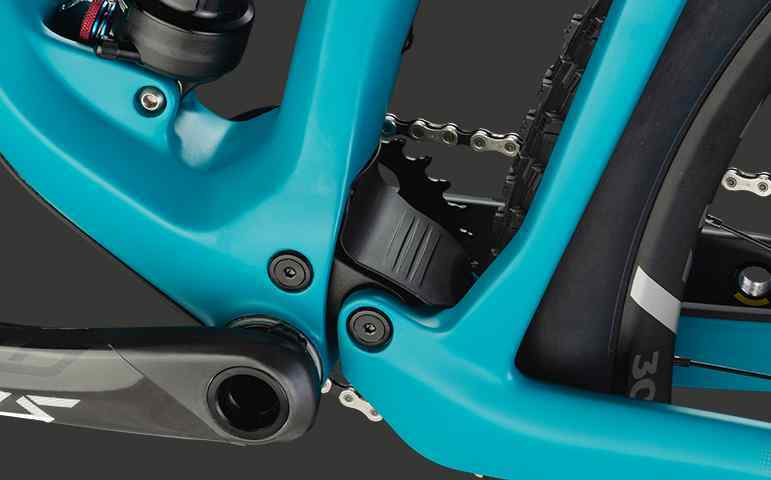 Drop the seat post and open the rear suspension with the push of one button and vice versa. IP Cable Routing: Prevents rattling, facilitates routing through internal carbon guide tubes. Integrated Protection: Molded downtube and chainstay guards keep your frame safe from impacts, in a refined design package. APS Advanced Pivot System : Efficient and durable suspension system with an endurance tune. 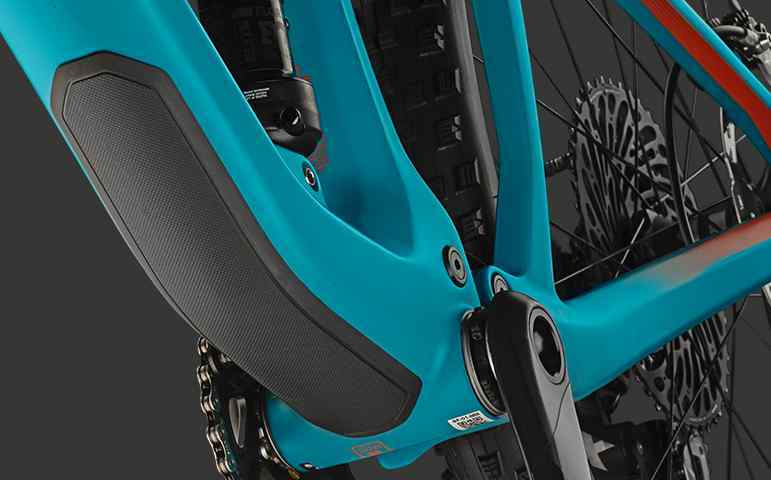 Supports you on the uphill while being fully active on the downhill. 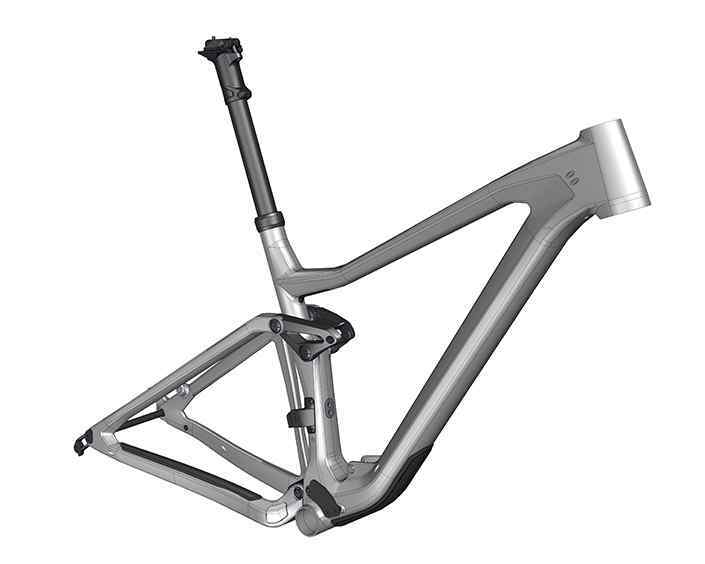 Mud Flap/Hidden Link: Hides all cables between the rear triangle and the main frame; keeps bearings clean. Mud Flap/Hidden Link: Hides all cables between the rear triangle and the main frame; keeps bearings clean. 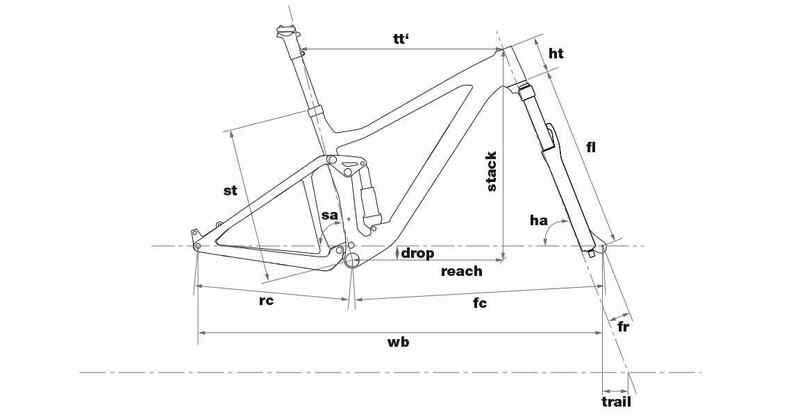 Advanced riders constantly adjust their suspension platform and seatpost height to optimize their bikes for the terrain they are riding or about to ride. 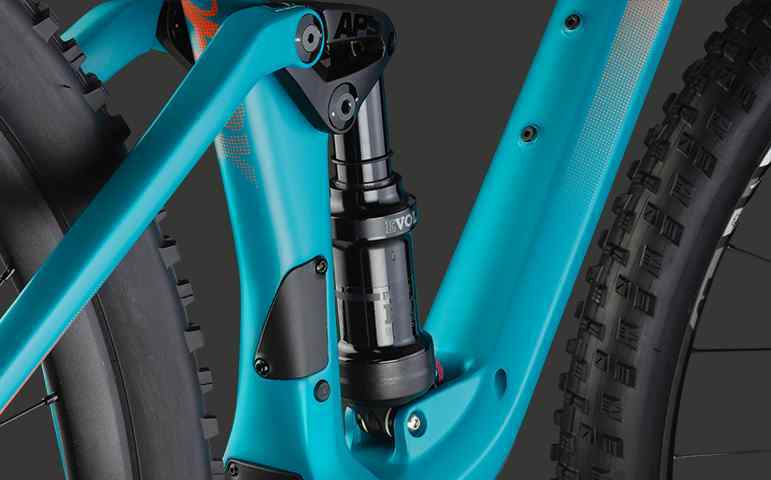 We engineered Trailsync technology to elegantly link the dropper post and platform damping technologies so that any necessary adjustment happens in the blink of an eye, with just one remote lever. 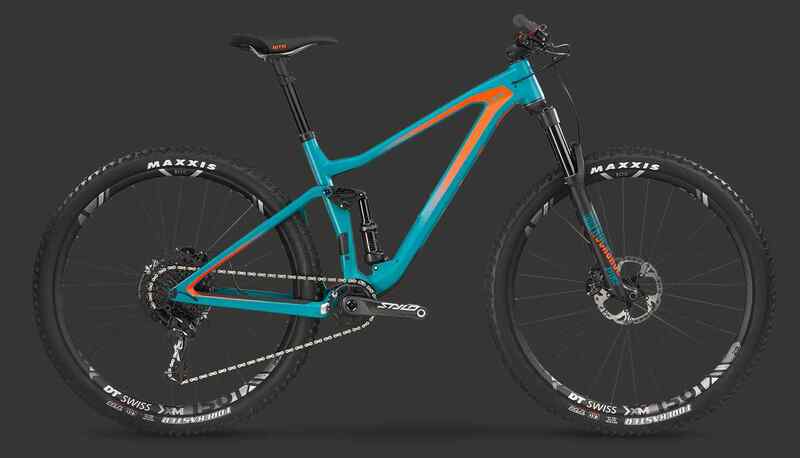 The Speedfox’s suspension is firm when its seatpost is up for pedaling. Once you get to the top of a hill, one flick of a lever simultaneously drops the saddle and opens the platform damping for a smooth, plush descent. 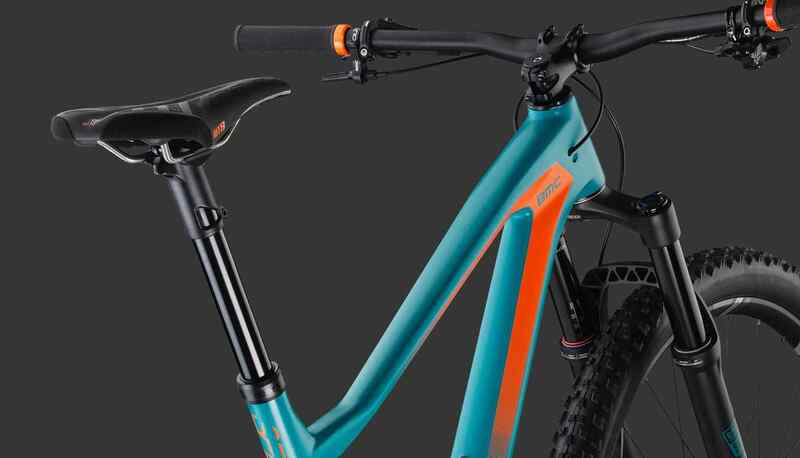 Trailsync’s cable-actuated components and integrated seat mast are internally routed, so the technology doesn’t interfere with the Speedfox’s neat aesthetics. Fewer levers and cables also save some grams. 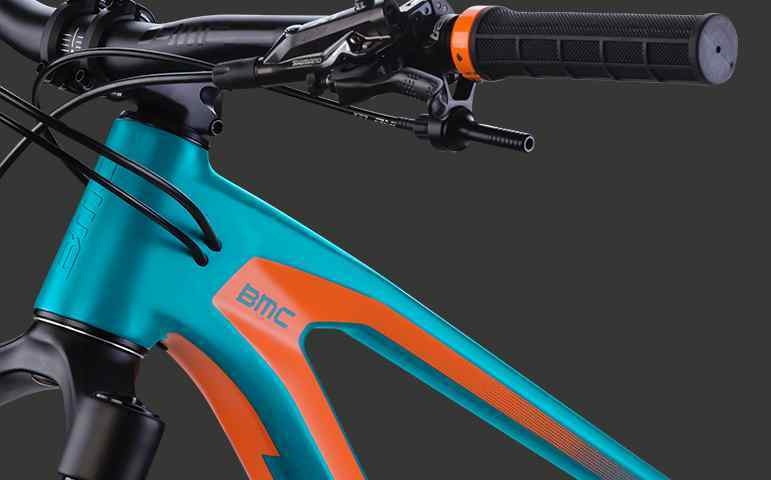 For more than a decade BMC has led industry integration and design—developing innovative engineering solutions in our unique Impec Lab.We invent groundbreaking frames and technology, then refine and integrate those technologies for maximum rider benefit. We’ve eliminated external cable housing from handlebar to chainstay and blended suspension and frame guards seamlessly into the design of the Speedfox. The result of all this effort is a beautiful, sleek design that also performs.